Shake all ingredients with ice, strain into an ice-filled rocks glass, and garnish with sprigs of mint. Shake with ice and strain into a chilled coupe. Garnish with a lime wedge if desired. Created for the Perfect Drink app. Pour the whiskey, lime juice, and demerara syrup into a collins glass and stir to combine. Add ice and top with the beer. Stir gently and garnish with freshly grated nutmeg. 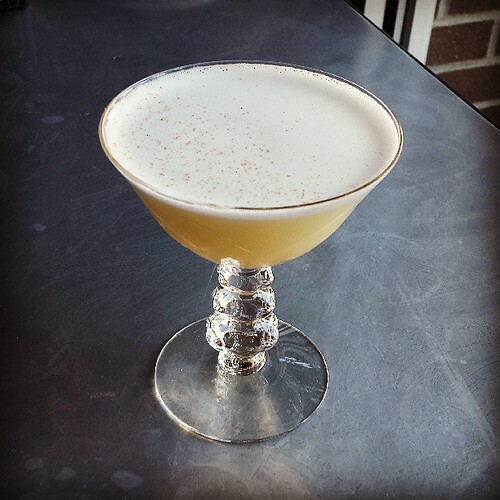 Recipe by Jordan Felix for the Multnomah Whiskey Library. Photo by Paul Willenberg. More details here. Stir to combine, then bottle. Shake hard with ice and strain into a rocks glass filled with ice. Garnish with the berries. Shake the ingredients without ice to aerate, then add ice and shake again. Strain into a cocktail glass. Garnish with a dusting of freshly grated cinnamon. For the jam recipe, see Lisa Fain’s The Homesick Texan Cookbook. Shake all ingredients with ice and strain into an ice-filled rocks glass. 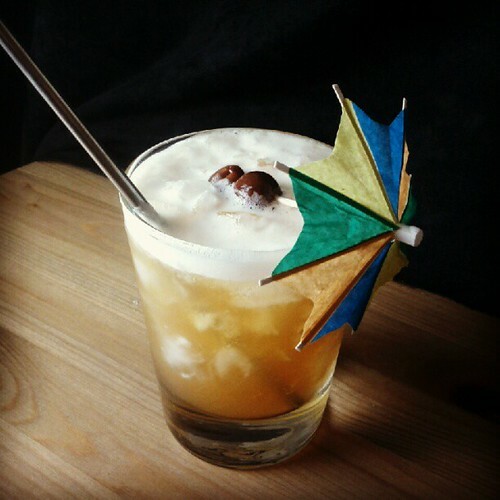 Garnish with a cherry and umbrella. This is a twist on the classic Nui Nui, adding just a touch of bitterness with the IPA. Background here. Shake with ice and strain into an ice-filled rocks glass (salt rim optional). This is another drink I made for Mi Mero Mole. 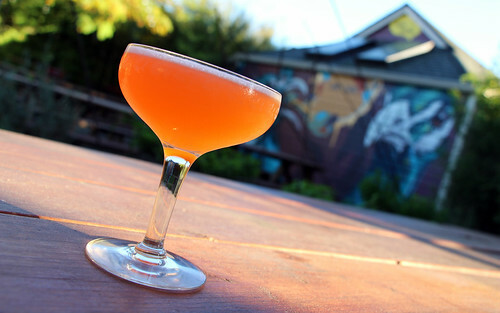 Photo via Thrillist, who named this one of the five best Margaritas in Portland.